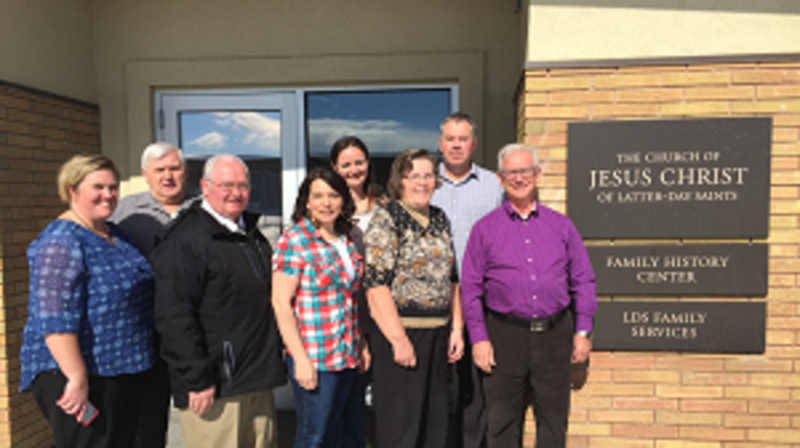 Most people look forward to Fridays; however, Linn Jensen, Director of the Cardston Alberta LDS Family History Center and his staff cherish them. 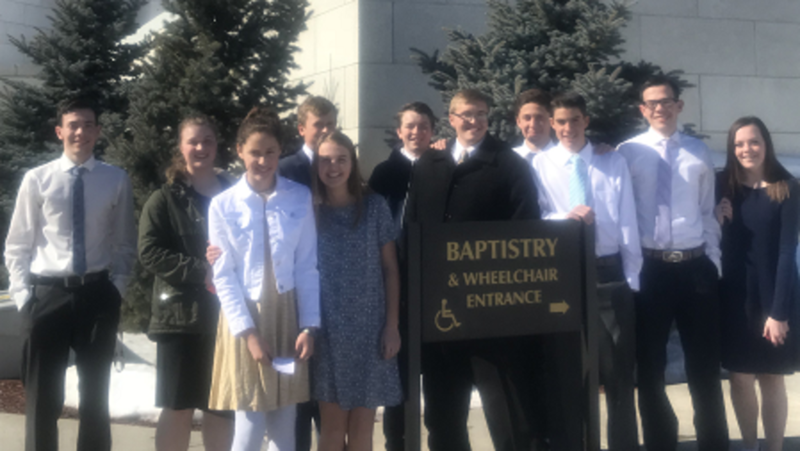 Three years ago, The Cardston Alberta and Cardston Alberta West Stakes of the Church of Jesus Christ of Latter-day Saints teamed up to create a program to “... turn the heart of the fathers to the children, and the heart of the children to their fathers.” (Malachi 4:6) Starting out with just six youth, the weekly program slowly climbed to twenty participants before doubling its size in year two. 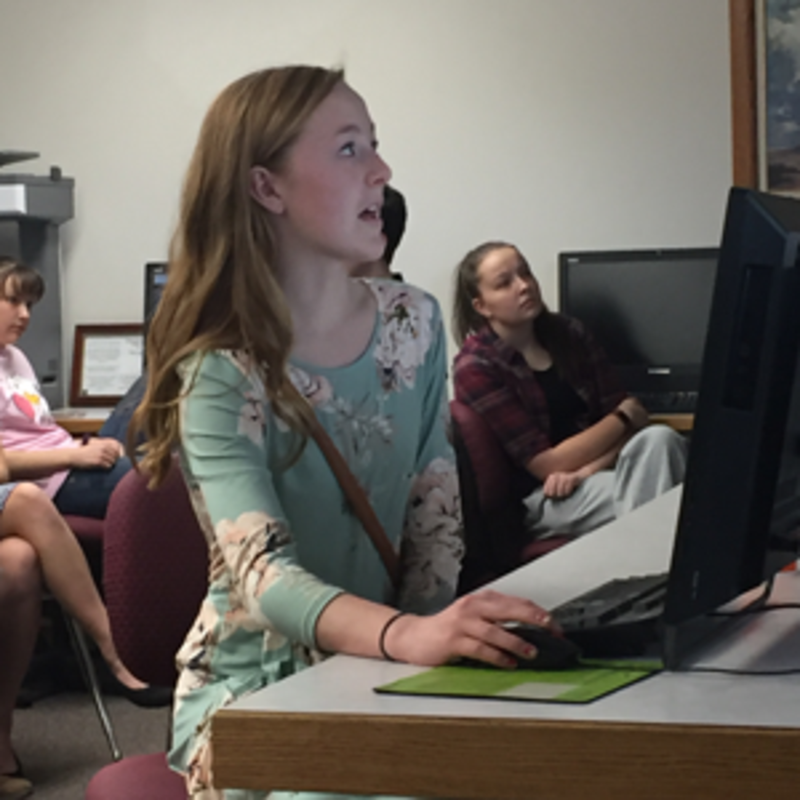 This year, as many as 65 students have attended the Youth Temple and Family History Program. It is held every Friday in the Family History Center, adjacent to the Cardston High School and Middle School and just a short walk from the Cardston Temple. Each week, students filter in following noon school dismissal. The program begins with an opening prayer followed by a spiritual thought and then a student led family history lesson. 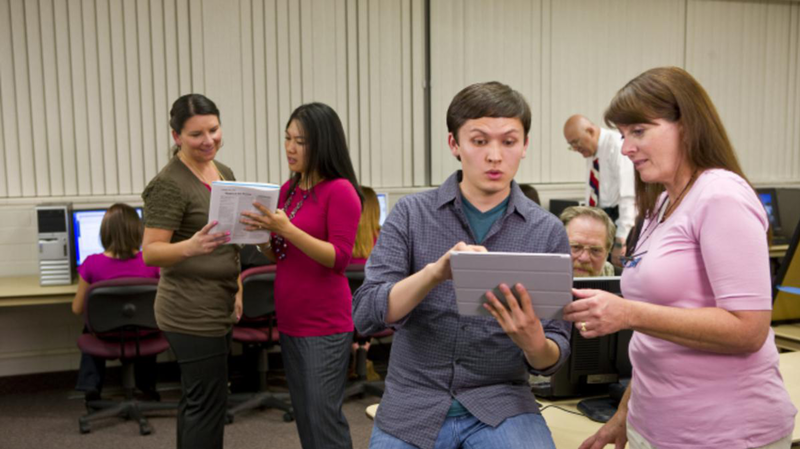 “The students sign up to teach--weeks in advance,” Sister Kristen Creason, a stake family history youth consultant said. Following the lesson, students enjoy a pizza lunch. After lunch, on a rotational basis, students participate in one of the following activities: 1) Take names to the temple 2) Work on family history or indexing at one of the center’s computers 3) Provide help and support for those working on computers. “The youth help the advisors teach...these youth are amazing; they inspire us,” Sister Creason said. 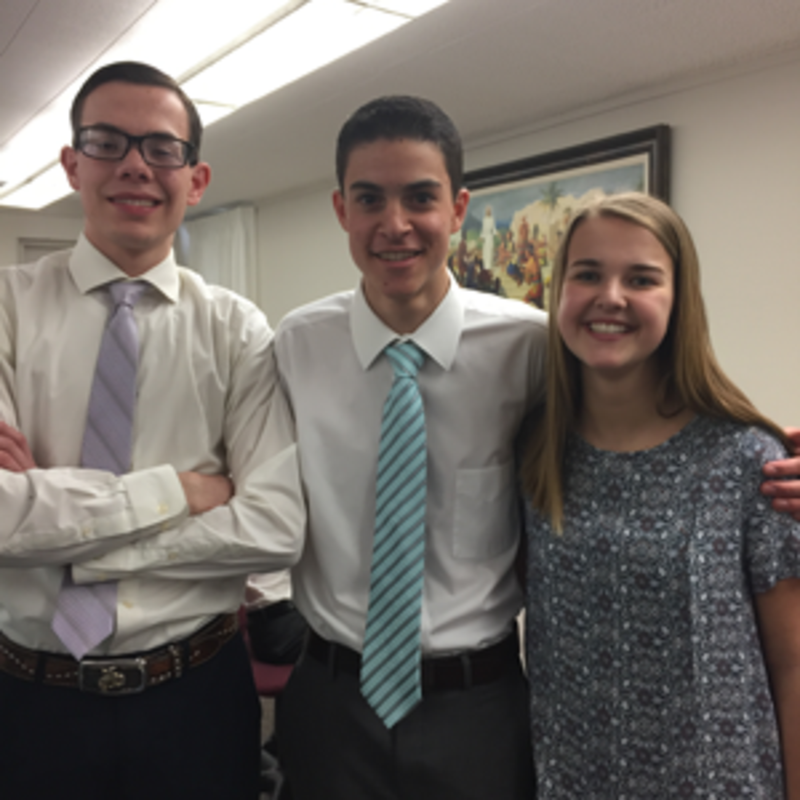 In addition, Cardston’s youth are preparing themselves for full-time missions as they participate in “missionary work” beyond the veil. “Young people who serve missions for the Church are asked to be familiar with family history work and are asked to bring their three-generation family chart with them into the mission field,” Brother Linn said. ”People have an inborn desire to know something about their ancestors. That becomes a natural opportunity for our missionaries. As missionaries learn to love the people they are contacting, missionaries will naturally ask about their families. ‘Are your parents living? What about your grandparents, are they living? Do you know your four grandparents?’ Conversations flow easily when those who are drawn to speak with the missionaries are invited to talk about the people that they love, “ President Russell M. Nelson said during the 2017 Rootstech Conference in Provo, Utah. 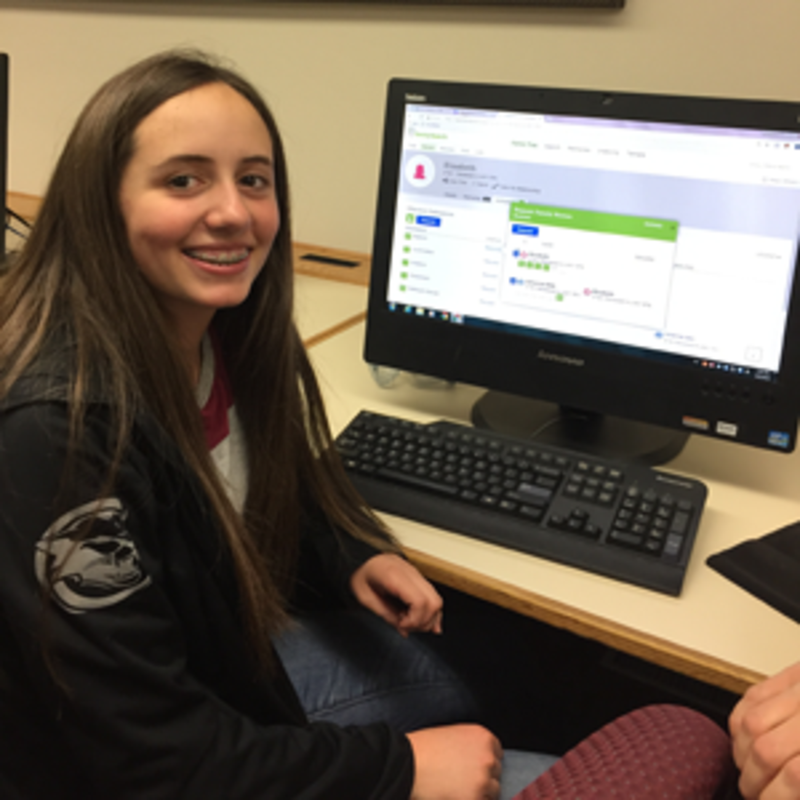 Sister Lybbert, an assistant stake indexing director, said, “A lot of kids have pioneer ancestors, so they don’t have many names to do, so they do indexing.” Indexing is the process of entering information from historical records into an online, searchable database. 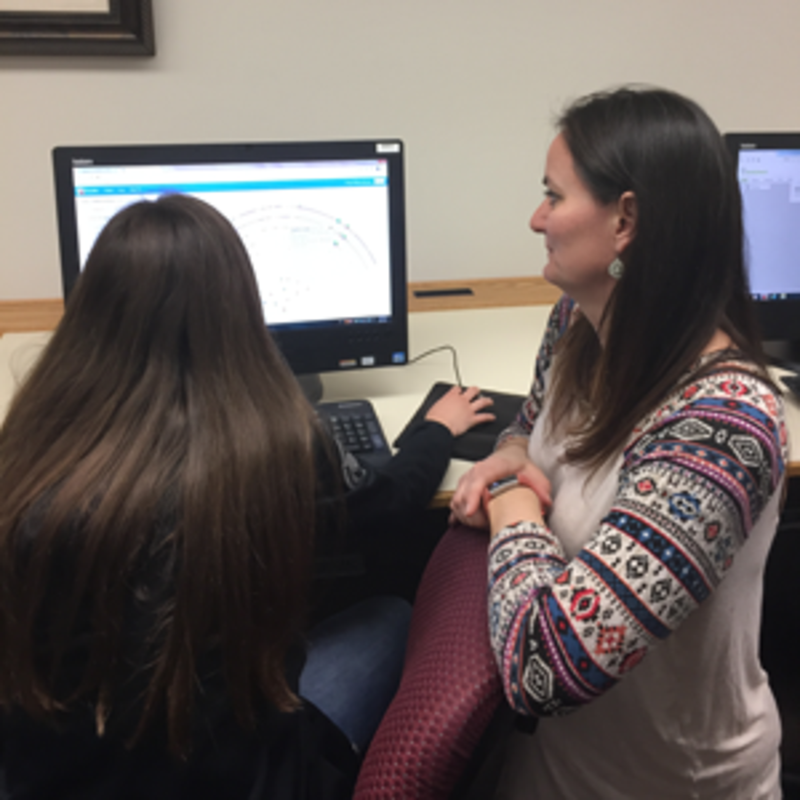 These students are making “spiritual connections” through indexing. The youth program is so successful, quite a few other stakes have called to inquire how to start their own programs. What is the key? Is it the pizza? “This program helps me to feel the spirit and helps me get to know my family better,” third year participant Clara Beazer said. “Without the program--I would still probably go to the temple, but I would probably not be bringing my own names. I have been to the temple every week this school year,” she said. “When you have family history questions, you can come here because there are so many people to help. You can get answers to your problems,” Brad Ranger, a third year participant said. Donald Campbell, a seventh grader, enjoys tracking down names. For the youth of southern Alberta, who line up every Friday outside the Cardston Temple, this is a challenge accepted.